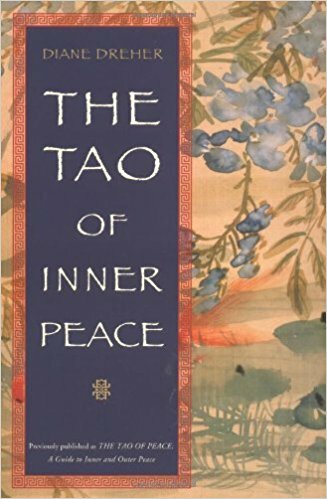 Excerpted from The Tao of Inner Peace by Diane Dreher. Copyright © 2000 by Diane Dreher. Excerpted by permission of Penguin Putnam, Inc. All rights reserved. No part of this excerpt may be reproduced or reprinted without permission in writing from the publisher. HTML and web pages copyright © by SpiritSite.com. How did you begin your search for peace? I began mine with political activism in the sixties. My college friends and I marched, protested, and worked for social change. For a while, I felt personally empowered by the protests. We saw ourselves on the evening news and felt we were making a difference. In time our country even pulled out of Vietnam. But by the mid-seventies, most of us were exhausted and disillusioned. Placing all our hopes in some distant cause, we had ignored our personal needs. Many of us even wondered who we were. So we plunged into the human potential movement, seeking solace in encounter groups, hot tubs, bodywork, and a colorful procession of gurus. The Maharishi, Maharaji, Bhagwan, and Werner Erhard all sold their own brands of inner peace. Blocking out the conflict around me, I went from Gestalt groups to gurus to physical therapies. Hundreds of classes, workshops, and self-help books later, I was a certified massage practitioner, teaching yoga at a holistic health center in northern California. I got my Ph.D. in English and began my career in college teaching. My friends and I tried very hard to be peaceful. But something was missing. The conflict remained. Most people are still at war with themselves and one another. We run through days of competition, confrontation, and mounting frustration, driven by the fear that we're "not good enough." At home and on the job, our lives are filled with stress. Our economy is troubled, our future uncertain, and the divorce rate has never been higher. Caught in a struggle between our ideals and grim necessity, we wrestle with the contradiction between what we are and what we "should" be. We live in the richest nation in the world, yet we are chronically insecure and defensive. Every day assaults us with new crises and conflicts on the evening news. My personal search led to the Tao Te Ching, which offers a simple yet comprehensive vision of personal and planetary peace. In the Tao inner and outer peace are intrinsically related, as we are related to everything in our world. Instead of waiting for the right guru or political leader to bring us the answer, the Tao asks us to take responsibility for our lives, to follow its path of action and contemplation. Through a shift of attitude, we can begin to experience greater peace right now. By seeing the larger patterns, we can take effective action, moving beyond competition to cooperation, harmonizing with the natural principles underlying all existence from the smallest cell to the largest social organism. Let's begin by identifying any areas of our lives where we're not at peace. Do any of these statements sound familiar? I'm not at peace in my body. It breaks down, knots up in tension, keeps me awake at night, aches, limps, gets into accidents, develops false growths, overeats, craves drugs or alcohol, feels awkward, fat, thin, old, weak, or powerless. I'm not at peace in my career. It's filled with stress, tension, disappointment, problems, obnoxious people, impossible deadlines. I feel nervous, insecure, angry, closed in, held down, trapped, fearful, unhappy. I'm not at peace in my relationships. I feel angry, resentful, jealous, fearful, anxious, insecure, bored, trapped, limited, manipulated, dominated, misunderstood, unable to communicate honestly with people I care about. I'm not at peace in my family. I feel guilty, resentful, angry, bored, restless, exhausted, trapped, sabotaged, manipulated, overburdened with obligations. I cannot be myself with them. I'm not at peace in my finances. I feel poor, anxious, resentful, limited, overwhelmed by bills and obligations. There's never enough to do what I want. I'm fearful of not having enough or guilty about what I have. I'm not at peace with myself. I feel frustrated, guilty, confused. My life is filled with conflict. I never do what I want. I'm afraid to try. I procrastinate. I spend all my time pleasing others. I never accomplish anything. I'm often depressed. My life is filled with compulsive working, eating, shopping, drinking, or drugs. I'm not good enough. I'm not at peace with my world. I feel nervous, anxious, guilty, depressed when I think about the future. I'm afraid of criminals, fascists, or communists. I have nightmares about war. I'm afraid of tomorrow because we're killing ourselves with pollution. There's nothing I can do. I hide behind cynicism or numbness. I feel powerless to change my world or my life. Whatever the conflict in our lives, the first step on the path of peace is to shift our attitudes. According to the Tao, what matters is not the situation, but the way we perceive it. A Tao person is someone who recognizes and works with the patterns of nature. Whatever our religious background or national origin, we become Tao people when we learn to think holistically, seeing our part in the unity of life, respecting the natural cycles within and around us. Tao people are natural problem solvers. While others often fear conflict and change, a Tao person realizes that conflict is natural, that life constantly evolves through cycles of change. Non-Tao people perceive the world through a reductive dualism that makes them cling to the status quo. Tao people realize life has many options. Creative and resourceful, they flow with change, seeing beyond problems to solutions. One with Tao, they promote greater peace in their world. When we're not one with Tao, we often become defensive, turning problems into blaming games. I worked for a year during college as a medical receptionist. One day while the office was filled with patients, workmen were laying carpets in the examining rooms. The phone rang incessantly, patients came and went, when suddenly I smelled smoke. The workmen had gone to lunch, leaving a hot iron plugged in, burning down into the floorboard. I ran into the room, pulled the plug, set the iron upright, and returned to my desk. Then the commotion began. The doctor smelled smoke and began shouting at the nurses, who shouted at the office assistants. I watched as their faces grew red, their voices strident and defensive. "Whose fault was it?" they shrieked. "Who should have checked the examining rooms?" I wondered to myself, what difference does it make whose fault it was? The point was to solve the problem. The ignorant only cast blame." In far too many conflicts, both interpersonal and international, people become so busy blaming others and defending their egos that they forget to solve the problem, which in this case was as simple as pulling the plug. We've all been one with Tao, experiencing a deep sense of peace in meditation, communion with nature, or someone we love. When was the last time you had such an experience? When confronting conflict, we can find peace within by recalling this feeling and concentrating on our breathing. Relax, take a deep breath, and say to yourself as you breathe in, "Breathe in Peace." Breathe in that sense of peace and oneness. Let it flow through your body. Breathe out any negative emotion: fear, confusion, insecurity, whatever is troubling you. When you feel relaxed, affirm "I live in Peace." Then examine the conflict. What would create greater harmony? What would a Tao person do? See yourself as that person, doing whatever it is you need to do. Get a clear vision of the process and feel at peace with the outcome. Affirm to yourself again, "I live in Peace." Now apply your vision and take action, drawing upon the infinite source of peace within. Recognizing this principle keeps us from falling into the false dilemma that narrows our choices to either/or: right or wrong, us or them, win or lose, all or nothing. But all too often our vision is narrowed by the dualism so pervasive in western culture. Our options limited by linear reductionism, we perceive reality as two opposite points on a line. Unable to find a synthesis or consider other alternatives, non-Tao people become trapped in the false dilemma of either/or. When I was a junior in college, my boyfriend offered me a marriage proposal which contained the false dilemma. He was a senior, concerned about his career. "If you love me," he said, "you'll drop out of school and work so I can go to grad school." How could he ask me this, I wondered. Of course I loved him but I wanted to go to grad school too. Did I have to choose between love and my vocation? We argued. Love, he said, meant caring about his future, our future together. He wanted to become a college professor. "You're being selfish," he said. I refused to drop out of school and was angry at him for asking me to. How could he discount my ideals? I wanted to contribute something to the world. Heartbroken, we each considered the other impossibly selfish, and we broke up. In our immaturity, we overlooked the other options. He could have worked for a year and saved his money. We could have gone to grad school together, working part time, getting student loans or scholarships. As it happened, we both got Ph.D.s and became college professors. Sometimes I see his name in the alumni bulletin. But long ago our lives took different directions because we were blinded by the false dilemma. If you find yourself wrestling with a painful internal conflict, step back. Don't get caught in the false dilemma. Look beyond the conflict. Ask yourself, "What would I really like to do?" Then think of all the possible ways to get there. Brainstorm with a friend who will write down your answers without comment. Later you can decide which ones win work for you. Or take out a piece of paper and write down your goal and all the possible options-no matter how outrageous. Free yourself to see the infinite possibilities that he before you. Then review your answers, accepting some possibilities, discarding others. Make an action plan. Whenever you face a false dilemma, look beyond it. There are always more than two alternatives. Throw off the blinders of custom to reveal the creative wisdom of Tao. The Tao guides us with lessons from nature. For centuries, Chinese calligraphers have painted bamboo as a spiritual exercise. Bamboo is graceful, upright, and strong. Hollow inside, receptive, and humble, it bends with the wind but does not break. "At birth all people are soft and yielding. All green plants are tender and yielding. At death they are brittle and dry. The most devastating experience many people face is being fired or laid off. A non-Tao person is often destroyed, unable to move forward, to overcome the shame and confusion. Many have fallen into severe depression, have even committed suicide. Losing this was a profound shock, yet within months these women began new ventures. Buyers Joy DaRos and Yelena Dieterichs opened successful boutiques, catalogue editor Pat Tennant became director of Monarch Catalogues, merchandising director Jean Rosenberg opened three designer shops, and Bendel's president Geraldine Stutz became publisher and president of Panache Press, a division of Random House. Instead of succumbing to despair, these women took stock of their lives, set new goals, and followed their dreams. Is a crisis in your life actually an opportunity to follow through on an unrealized dream? Take some time by yourself. Look within, and you will know. There's an old saying, "When one door closes, another opens." Tao people recognize that door because they're open to new possibilities. Opportunities often appear when we follow our natural curiosity. When I was a grad student at UCLA I noticed a new restaurant opening in my neighborhood, "Colonel Beauregard's New Orleans Restaurant and Gumbo Shop." Intrigued, I walked across the street and looked in the window. The owner peered out at me, asking if I wanted a job. I didn't. I was a research assistant at UCLA, but to make up for my curiosity I signed his register and promised I'd be back to try the food. Weeks later, the UCLA budget was cut and all the research assistants suddenly laid off. My friend Janette and I were sitting in my apartment wondering what to do when the phone rang. It was the owner of Colonel Beauregard's asking when I'd like to come to work. Two days later I was the cashier, enjoying a job that gave me the income I needed, a free Creole dinner five nights a week, and a pleasant diversion from my studies. Following my curiosity had led me into a new opportunity at just the right time. The Tao encourages us to be spontaneous, to follow our natural inclinations, to keep on learning, and to watch the changing patterns within and around us. Remember, nothing in the universe stands still. We are evolving souls.